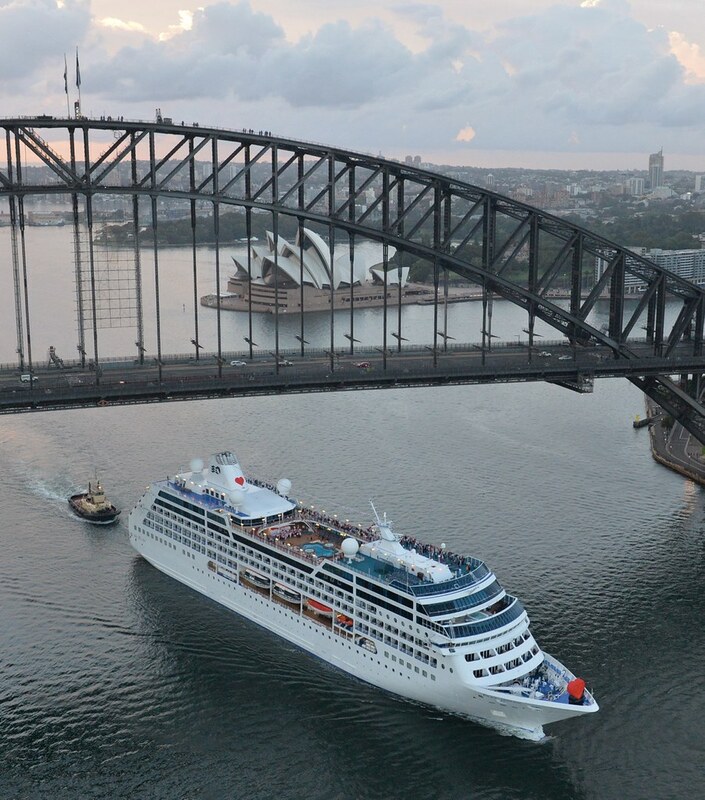 The growing number of cruise ships based in Australia has fuelled a 27 per cent hike in the contribution of cruising to the nation’s economy, according to a new report which shows the industry’s economic output reached a record $4.58 billion in 2015-16. The report shows that overall cruise ship visit days to Australian ports grew by 39 per cent in 2015-16, with a 45 per cent surge in homeport visit days helping to drive the increase and boost the economic impact of cruising. Commissioned by Cruise Lines International Association (CLIA) Australasia, the independent report reveals that cruise line expenditure now exceeds $1.3 billion, up 23 per cent since 2014-15, while direct passenger expenditure rose 18 per cent to $959 million in 2015-16. Meanwhile indirect and induced expenditure added a further $2.27 billion to the industry’s output. Reaching $4.58 billion, cruising’s economic output has now risen 43 per cent since 2013 when CLIA’s first economic report recorded a figure of $3.2 billion, and by 27 per cent since the 2014-15 CLIA report registered an economic output of $3.6 billion. The cruise industry now employs 18,700 Australians directly and indirectly – a 23 per cent increase on the previous year’s number of 15,200 – and pays $1.33 billion in employee compensation. Meanwhile, the value-added impact of cruising is close to $2.4 billion. Releasing the “Contribution of Cruise Tourism to the Australian Economy in 2015-16” report in Sydney today, CLIA Australasia Chairman Steve Odell said it provided compelling evidence of the economic benefits flowing from the cruise industry’s continued growth. “Our challenge is to make sure that this growth is not taken for granted by government and other stakeholders. Australia is very appealing for both homeported and international cruise ships, but to make the most of our potential and maintain our edge in an increasingly competitive environment, we must recognise the importance of long term infrastructure planning and a positive regulatory environment, and do all that is possible to encourage more cruise ships to our shores,” Mr Odell said. New South Wales remains the dominant cruise state, accounting for 63 per cent of the industry’s economic contribution, although its share has declined from 68 per cent in 2014-15. The overall economic output of cruising in NSW rose by 20 per cent in real terms to $2.89 billion, while Queensland’s contribution surged by 53 per cent to $976 million, and Victoria’s output was up 43 per cent to $346 million. Meanwhile, the Northern Territory’s output doubled to $62 million, Tasmania rose by 32 per cent to $60 million, South Australia was up 72 per cent to $51 million and Western Australia rose 9 per cent to $190 million. The report found that homeported ships accounted for 82 per cent (2.1 million) of total passenger port days, up 32 per cent on the previous year in a move which reflects the growth in local cruising. 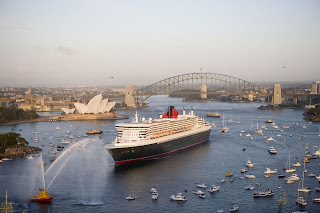 The rise in homeported ships offering local itineraries also saw an increase in calls around Australia, helping to further spread the economic benefit of cruising throughout the nation. According to the report, there were 1177 cruise ship visit days at Australian ports during 2015-16, a 39 per cent increase from the 849 visit days recorded in 2014-15. Homeport visit days grew 45 per cent while transit visit days grew by 33 per cent. Meanwhile passenger visit days recorded by international ships fell by 9.4 per cent to 480,000, in line with a similar decline in 2014-15, reflecting an 18 per cent drop in port days for international ships and the shift to homeporting. Mr Odell said the report’s findings reinforced the impact of capacity constraints, particularly in Sydney, at a time when the size and capacity of ships was increasing. He said these constraints were placing more pressure on Brisbane and Melbourne ports. “As cruise lines increasingly announce exciting new ships and deployments in this region, Australia will only continue to benefit in the long term if steps are taken to put the necessary infrastructure in place,” he said. International passengers boarding a ship spent an average of $708 per day in a homeport, while those visiting a transit port spent an average of $186 per day. 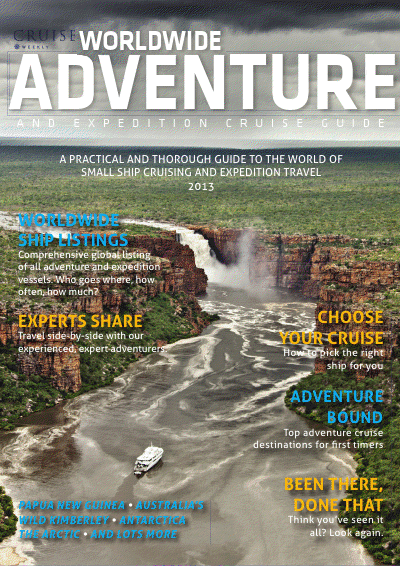 The latest edition of the Travel Daily/Cruise Weekly River Cruise Guide contains all the latest information on 2014 river cruise programs across the globe.